I am still loving Newfoundland. 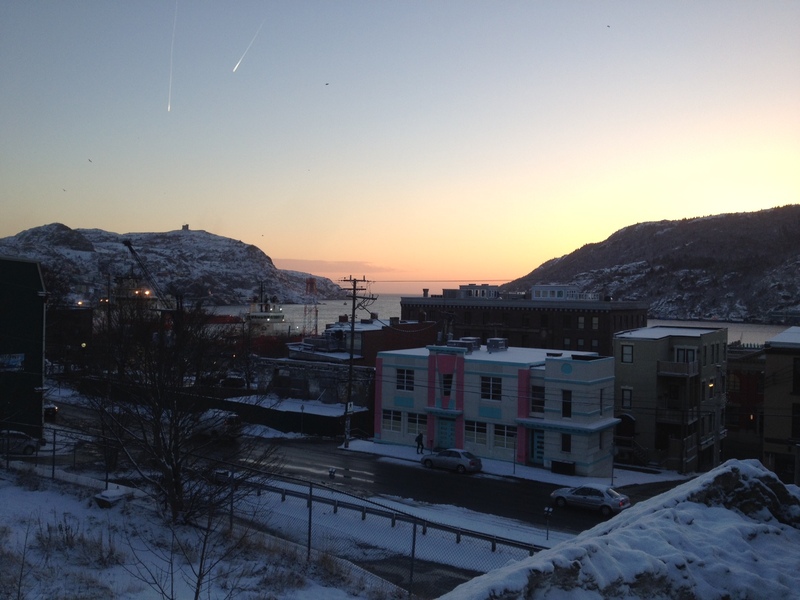 I simply adore being here in St. John’s. I work downtown and each day when I get out of my car and start to walk down the hill to work, I see a snippet of the harbour. And even on those days when I am almost blowing off the hill with the wind, or slipping down Prescott Street with the ice (eek! ), I ALWAYS look at the ocean and have a small moment of grace. Some days it is only a millisecond where I have a quick thought of how grateful I am to be home. Grateful to be near the ocean. And thrilled to be near my family. Every. Single. Day. I regularly speak to people who have lived here all their lives and they tell me they don’t even notice the view anymore. And had I lived here all my life I am absolutely positive I would be the same way. But each time I catch a glimpse of St. John’s Harbour my heart melts just a little bit more. I hope I never lose this feeling, this oh-so-wonderful appreciation for this harsh, isolated and incredibly beautiful place. I hope today you can enjoy your view for even a moment – whatever your view is.